Antimicrobial resistance is one of the greatest challenges in modern medicine. The lack of reliable, low-cost technologies for the detection of bacterial infection and antibiotic resistance in the clinic contributes to over- and misuse of antibiotics and rising resistance. In this post, we look at a multiplex microfluidic system for performing microbiological assays, including tests for microbial identification and antimicrobial resistance. 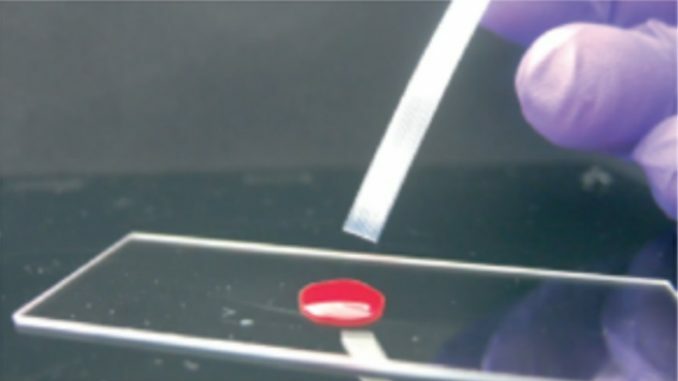 With this technology, using a series of capillary flow tubes of approximately 200 micrometer diameter, roughly 100x the size of a single bacterium, Dr. Nuno Reis and colleagues demonstrate a platform for undertaking multiple cellular assays simultaneously, without the bulky equipment used in many other microfluidic applications. In their paper, the authors coat the inside of long microcapillary tubes (fluoropolymer microcapillary film) with a hydrophilic polymer (PVOH). Then, up to 10 different reagents are loaded in adjacent tubes. The authors show applications in ABO blood typing, microbial identification and drug resistance detection, of which we examine the latter two. For microbial identification, the system relies on classical fermentation assays, which suggest the presence of E.Coli or S.Typhiurium based on fermentation of certain sugars. Addition of the pH indicator phenol red causes bacterial suspensions which are unable to ferment the reagent sugars to turn pink from a rise in pH. The non-fermenting control bacterium P.aeruginosa, as expected, causes all reaction tubes to turn pink. To test for antimicrobial resistance, the authors loaded the capillary tubes with increasing concentrations of the antibiotics ciprofloxacin and trimethoprim. Using a growth indicator medium (resazurin), which changes colour from blue to pink in the presence of bacterial growth, it was possible to determine the Minimum Inhibitory Concentration (MIC) of the bacterial sample, i.e. the lowest concentration of antibiotic in which the bacterium could not grow. When the authors tested clinical isolates, they found several samples were able to grow in all concentrations of antibiotic, suggesting antibiotic resistance. Using capillary flow technology, the authors were able to miniaturise classical microbiological assays for the identification of particular bacteria and detection of drug resistance. In their proof of concept study, the authors inoculate liquid growth medium with bacterial colonies from agar plates, which may produce different results compared with clinical samples. In addition, incubation time for bacterial identification was 4 hours, and overnight for the antimicrobial assay. As such, this may still be too long for a practical point-of-care diagnostic tool. However, the authors have shown that classical and widely used microbiological assays can be miniaturised and multiplexed, and with reagents bound to the hydrophilic inner surface of the capillary tubes, the operator also has slightly fewer ingredients to mix. With no additional high cost equipment needed, this approach holds promise for labs in low resource settings.